Whenever I fight with my sister, you can usually tell who was to blame in the morning. The best way I’ve discovered to gain forgiveness is to make pancakes. 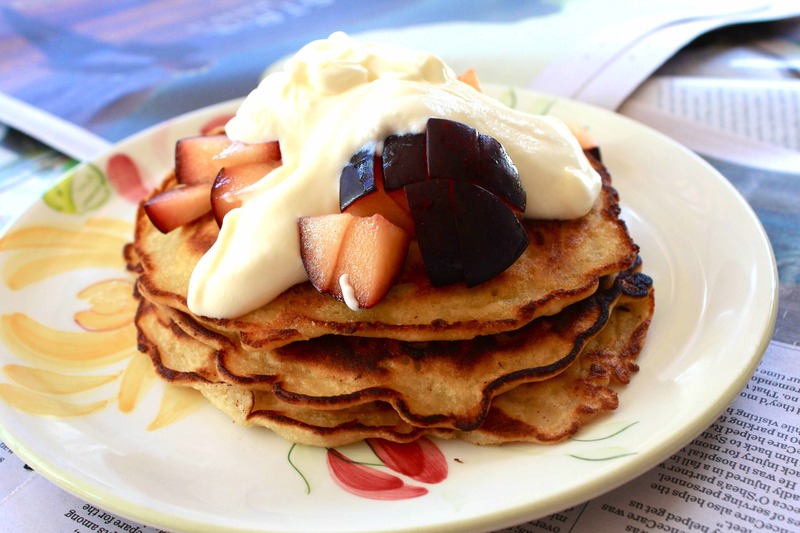 This morning featured apple and cinnamon pancakes with greek yoghurt, warm honey and fresh cut plums. 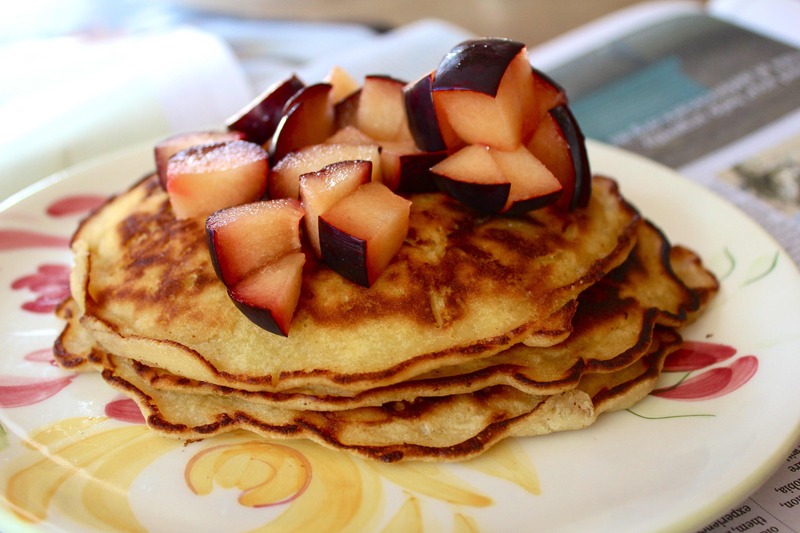 The pancakes are sweetened with honey and grated apple, which becomes juicy and soft whilst they cook in the frypan. Instead of my usual method of melting the butter straight in to the batter I tried something different this morning, and melted it in the pan. The first pancake stuck completely and had to be thrown away. Lesson learnt. 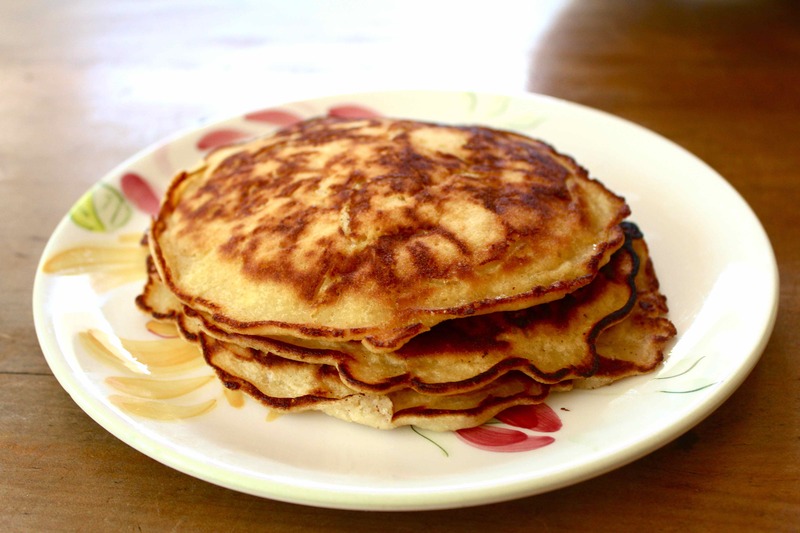 After making pancakes for many years I’ve found the easiest way to get a thick, fluffy pancake is to throw the recipe out the window. Now I put my flour and sometimes fruit in a bowl, crack in an egg, sometimes some yoghurt, and slowly add flour with whisk in hand until the batter is thick and oozing. You can make them as thick as you fancy. Mix all your ingredients well in a large bowl. Heat a little pat of butter in a medium sized pan over medium heat until melted. Pour in a ladle of batter and use your spatula to even the edges in to a circle. Cook until the surface is covered in tiny bubbles. Flip over carefully and cook for about one third of the first time’s cooking time. Keep warm either on a plate under a tea towel or in an oven heated to 120C. 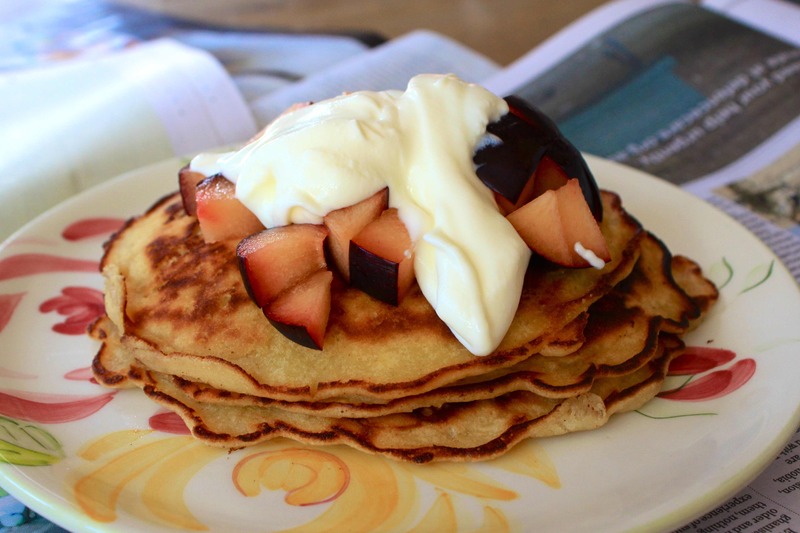 Top with fruit and yoghurt and eat immediately! Serves 3. 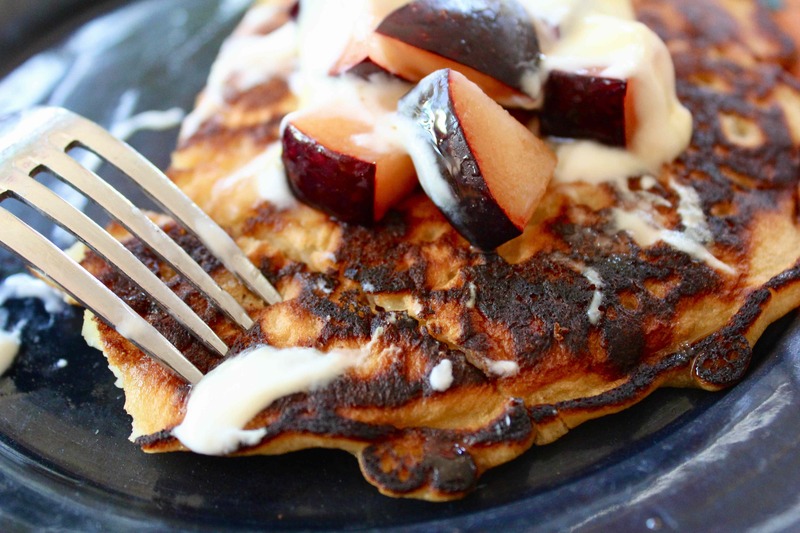 This entry was posted in Breakfast, Pancakes and tagged Apple, Breakfast, delicious, Fluffy, Honey, Pancakes. Bookmark the permalink.